Heid Baker was born on August 29, 1959. She has been married to her husband Rolland for 36 years (1980). Rolland is presently suffering from poor health and is not presently actively engaged in ministry (Source). Rolland Baker’s grandfather, “Harold Armstrong Baker, known as H.A. Baker, was an American author and Pentecostal missionary to Tibet from 1911 to 1919, to China from 1919 to 1950, when forced to leave the mainland, and then in Taiwan from 1955 until his death in 1971” (Source). Heidi Baker received her Doctor of Philosophy (Systematic Theology) from King’s College of London, in 1995 (Source). A Google search showed that the following video is widely shared as her salvation testimony (Source). Heidi Baker claims in her testimony that at the age of 16 God called her to be a missionary and a minister. We know this is not true because while God certainly calls women to serve as missionaries, He does not call them to serve as pastors (1 Timothy 2:12-14). God never contradict His Word. Her testimony was filmed and posted by “Catch the Fire TV,” which is the media arm of “Catch the Fire/Toronto,” which is simply the re-branded name of the Toronto Airport Vineyard. The Toronto Airport Vineyard was/is responsible for a false spiritual movement known as the “Toronto Blessing.” It was this movement that led to the crippling of the first church my family and I were members (Source). In her testimony she shares how Jesus told her in a vision to look into his eyes and said, “I died so that there will always be enough.” The he ripped off a part of his flesh from the side of his bruised and broken body, and handed it to her, telling her to give his flesh to the children. When she took the piece of raw flesh from Jesus’ hand, it immediately turned to bread. And then Jesus held simple-looking cup to his side, and blood and water flowed from his side, into the cup. Jesus said to her, “This is a cup of suffering and joy. Will you drink it?” And then she gave the cup to thousands of children, from which they all drank. This alleged vision sounds remarkably like an abomination known as the Roman Catholic Mass. It is no surprise that Baker would articulate a vision so blasphemous. After all the New Apostolic Reformation, as well as other camps within the Charismania circle court the apostate Roman Catholic Church and erroneously see the Roman Catholic religion as compatible with Christianity (Source/Example). Baker then describes what any Bible-believing Christian can only describe as an outpouring of demonic forces, which, of course, Baker attributes to the Holy Spirit. She describes being flipped upside down so that she was standing on her head and bruised from head to toe. As part of her testimony, Baker describes a time in which she was pinned to the floor at the Toronoto Airport Vineyard. Allegedly, she had to be carried to her hotel and laid in her bed where she remained frozen, unable to move. However, the Holy Spirit (insert air quotes) allowed her to get up at 3:00 AM to crawl to the restroom. Once she answered nature’s call (not the Holy Spirit’s), she crawled back into bed, where she returned to her frozen state. Sadly, Heidi Baker’s testimony is not a testimony of salvation, but rather a testimony of experiences. No mention of sin and repentance. No mention of the cross. And what did Jesus allegedly tell her in her vision? “I died so that there will always be enough.” This is not the gospel! This is the NAR, Word of Faith, Prosperity Gospel. This is a Galatians 1:6-9 false gospel. This is the gospel–a gospel you will not hear from Heidi Baker or her ilk. Everyone who stands before God to give an account will do so without excuse (Romans 1:18-23). No one will be able to claim innocence or ignorance of violating God’s law—whether in thought, word, or deed. Because God is good, because He is holy, because He is righteous and just, He must punish sin (Jeremiah 14:10; Hosea 9:9; Luke 13:1-5; John 8:24; Hebrews 9:27; Revelation 20:11-15). The punishment God has determined for sin, all sin, is eternity in Hell (Matthew 25:41-46; Revelation 21:8). It matters not whether a person believe this. What matters is that it is true. Truth is not determined by what one believes. God is truth, though every person is found to be a liar (Romans 3:4). This same God–again, for there is only one God–who is angry with the wicked every day, whose wrath abides upon the ungodly, who will judge the world in righteousness, is the same God who is loving, merciful, gracious, and kind. And He showed His great love for mankind when He sent His Son to earth in the Person of Jesus Christ—fully God and fully Man, yet without sin (Philippians 2:5-11; 2 Corinthians 5:21). Jesus of Nazareth, born of a virgin just as the prophet Isaiah declared more than 700 years before Jesus’s literal, physical birth (Isaiah 7:14; 9:6), lived the perfect, sinless life you cannot live. For some 33 years, Jesus lived a life in perfect obedience to the law of God–in thought, word, and deed–a life you and I could not hope to live for a mere 33 seconds. And then He voluntarily went to the cross (John 10:15, 17; 19:1-27). Yes, it was the Jewish people who hatefully and viciously demanded Jesus’s execution. Yes, it was the Roman government that carried out the despicable act. But they were all merely instruments in the hands of another. For it pleased God the Father to crush God the Son under the full weight and fury of His wrath against sin (Isaiah 53:10-12). God the Father made God the Son, who knew no sin, to become sin on behalf of those who repent and believe the gospel so that through the sacrifice of His Son many would be made righteous in the eyes of Almighty God. In other words, on that great and terrible day God the Father looked upon God the Son as if He had lived the depraved life of a sinner and in exchange—a great exchange—God the Father looks upon those whom He has caused to be born again (1 Peter 1:3), to repent and believe the gospel, as if they had lived His Son’s perfect, precious, and priceless life (Colossians 2:8-15; 2 Corinthians 5:21). Jesus shed His innocent blood on the cross. He died a literal, physical death on the cross. And He was buried in a tomb not His own. Three days later, Jesus forever defeated sin and death when He physically, bodily rose from the grave (1 Corinthians 15:1-4). And unlike every false god created in the imaginations of men–whether the false gods of Islam, Catholicism, Mormonism, Hinduism, Jehovah’s Witnesses, Oprah-ism, or Atheism (a religion like every other spiritual “ism”)—Jesus Christ is alive today and He will return at a time of the Father’s choosing. What God commands of you all people everywhere is that that you repent (Luke 13:1-5; Acts 17:29-31). Change your mind. Stop believing lies and believe the truth you know—the truth for which you are responsible and will be held accountable. Turn from your sin and turn toward God, and by faith alone receive Jesus Christ as your Lord and Savior. You must come to God on His terms. God does not negotiate with sinners. God will not be bribed by your religious practices or what you may perceive as “good works” acceptable to God. God will not weigh your “good” against your “bad,” for God does not see you or anyone else as good. God’s definition of, God’s standard for goodness is moral perfection, and only One has ever, only One will ever meet that standard. And that is Jesus Christ, God’s Son, the Messiah, the King of kings and the Lord of lords. As for you, as is the case for the rest of mankind, you have sinned and fallen short of the glory of God (Romans 3:23). If God causes you to be born again and extends to you the gifts of repentance and faith, which only He can give, then He will take your heart of stone and give you a heart of flesh. You will begin to love the things God loves and hate the things God hates. You will stop presuming upon God’s forgiveness as if it is something you have earned or deserved. Instead, you will have the confident assurance He has forgiven you—not on the basis of any deeds you have done in righteousness, but based entirely upon God’s mercy, grace, and love, and for His glory (Titus 3:4-7). Why would God allow His one and only Son to die a sinner’s death He did not deserve in order to take upon Himself the punishment sinners rightly deserve for their sins against God, so that sinners could be forgiven and saved? “For God so loved the world, that he gave his only Son, that whoever believes in him should not perish but have eternal life” (John 3:16). The most notable among Heidi Baker’s ministry board members is Stacey Campbell. Campbell “is the founder and facilitator of the Canadian Prophetic Council and serves as an honorary member of the Apostolic Council of Prophetic Elders, presided over by Cindy Jacobs. She and her husband, Wesley, are on the apostolic team of Harvest International Ministries (H.I.M.) under Dr. Ché Ahn. They are also the founders of a church (New Life Church, Kelowna, BC) and a mercy organization for children at risk called ‘Be A Hero.’ As conference speakers, they have ministered in over 60 nations, laboring to see revival and social justice transform the world. Stacey’s personal experience as a church planter, pastor, and missionary gives her prophetic teaching a depth and authority that can only come from personal experience. The Campbells have five grown children and live in Kelowna, B.C., Canada” (Source). While Stacey Campbell is only an honorary member of the Apostolic Council of Prophetic Elders (ACPE), she’s no small fish in this particularly putrid spiritual pond. Campbell participated in the apostolic commissioning of one of the worst characters the New Apostolic Reformation has ever produced: Todd Bentley. She made quite the scene, outdoing most of the false apostles present. She showed herself either to be a really bad actress, demon-possessed, or both (Source). Bill Johnson, leader of the Bethel Redding cult, also participated in Bentley’s commissioning, stating, “We shape the course of history by partnering with you.” And, “You welcome glory as well as anyone I have ever seen in my life. I long to learn from you.” (Source). Bentley soon showed himself to be a fornicator and adulterer (Source). Bentley was later restored to ministry by NAR leader and false teacher, Rick Joyner (Source). Joyner also participated in Bentley’s commissioning, saying, Bentley would be the antidote for the “lukewarmness” in the church (Source). Bentley back in business and as bad as ever. He claims a $1 donation will result in one soul saved (Source). He also boasts of one million “decisions for Christ” in the first ten years of his ministry (Source). Most recently, Bentley, up to his old carny shenanigans, claimed that angel feathers and gem stones appeared at a meeting in Fresno (Source). Heidi Baker is a frequent flyer at Bethel Redding. She speaks there often. Recently, on the Bethel.TV YouTube channel, a clip of Heidi Baker speaking was posted. The title of the video: The Call of an Eagle – Heidi Baker, Bethel Church. Baker begins in typical false apostolic prophetic fashion by singing a little freestyle, I mean “spirit-led” tune and engaging in the droning practice of repeating words and phrases. By the looks of the crowd gathered, the people had already been whipped into an altered state of consciousness, before Baker begins her prophetic utterance. Baker begins her shtick in such a way as to make sure the people stay in the emotional and psychological state she wants them. She’s been trained by the worst. Her first pronouncement to the people is that God wants to lift them above a non-specific storm to give them generic eagle eyes. She can’t be too specific. There might be someone in the crowd lucid enough to catch on. She declares that God has given her a prophetic word for America, a word that was also for the Bethel School of Supernatural Ministry (likely the school to which she referred). Baker’s alleged prophetic word is punctuated with a shout of “Ho!” and a hoped-to-be-believed involuntary snap of the head to the right. After all, what would a prophecy be without a quick, spirit-launched Taser blast. Baker then allegedly heard God say, “Your destiny is not to be a chicken.” Slipping out of their altered state of consciousness (real or feigned), several people in the audience laugh. 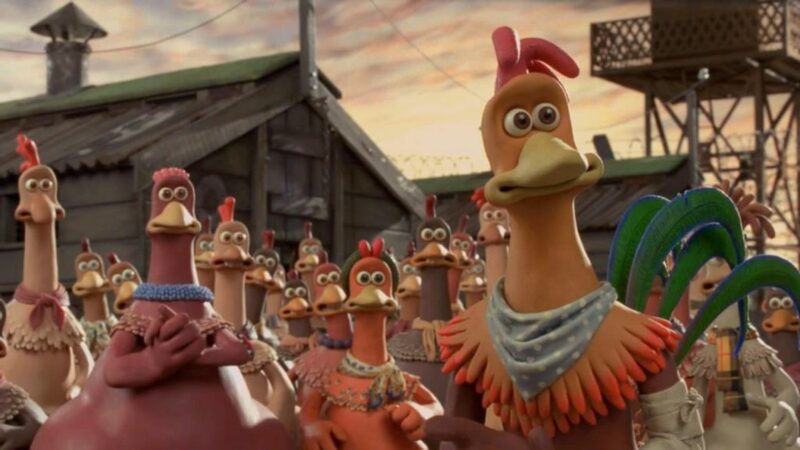 Hoots and hollers follow when Baker proclaims that God doesn’t want them to be chickens. He wants them to be eagles. That’s rather judgmental against chickens, if you ask me. Baker tells her audience that God wants them to see above a non-specific dust, a non-specific storm, and a non-specific swirl. God’s (not the God of the Bible, mind you) tirade against chickenhood continues by allegedly declaring through Baker that he wants them to soar like eagles and not hop around on the ground like chickens. More chicken intolerance. Just in case the “vision of an eagle” isn’t enough, Baker prophesizes that God wants to give the audience power over serpents. They will dive like eagles and scoop up snakes. Then, they will fly high enough to suffocate the snakes. Look, I’m not a fan of snakes, but that’s a tough way to die. And could someone please do the research for me that shows the altitude a snake suffocates and compare that to the altitude an eagle suffocates? If you actually find that information, please post it in the comments section. Oh, I know. I know. She’s speaking metaphorically. But I’m writing this article, in part, to calm my nerves. I’m so angry with this false prophetess and the cult that is Bethel Redding I, well, I wanna kick a chicken! It’s at this point that Baker begins to stall. Her speech begins to have more gaps in it—more pregnant pauses. Of course, it’s speculation on my part, but it’s not unreasonable (no more unreasonable than Baker’s blasphemous utterances) that Baker is running out of things to say. She’s thinking on the fly, trying where else to take the eagle and chicken metaphor. Still speaking what she has the audience convinced are the very words of God, Baker says. “I’m going to call you; I’m going to call you to a place where you warn, even warn those who are chirping [momentary pause…..and wait for it] with no heads” (emphasis mine). Notice the family of four prominent in the middle of the screen–presumably a husband, his wife, and two small children? Notice the parents’ expressions? What might they mean? What might this couple be thinking? The husband/father is smiling–almost laughing. Maybe he is in fool, I mean full agreement with Baker and he thinks what he is experiencing is really cool and of the Lord. Or, maybe he’s thinking, “I sold everything, packed up my family, and moved to Redding, CA, to attend Bethel’s School of Supernatural Ministry. DOH! What was I thinking!” Or maybe he’s thinking something else. He might just be smiling at the man who walks by and sits down to his right. Only he and God knows. The wife/mother has her hands over her mouth in an expression of what appears to be either stunned amazement, or shock and horror. We should certainly hope for the latter. What might she be thinking? Maybe she’s thinking, “Wow! I was just thinking the other day about headless people chirping like birds…..with no heads…..and chirping…..like birds…..with no heads…..and no beaks!” Or maybe she’s thinking, “My kids just heard that. How am I going to explain headless people chirping like birds to my kids? Maybe this school has a third semester course in handling this situation. In the meantime, if the kids express any discomfort or doubt, I’ll gently admonish them not to touch the Lord’s anointed and go up, up, up, up, up to bed.” Or maybe she’s thinking something else. Only she and God knows. May I just say, I breathed a sigh of relief just now. I was concerned the headless people knew they were running around like chickens with their heads cut off! A couple of things. If a bird is flapping, it’s not soaring. God knows that. So, God would not say, through Heidi Baker, that He is going to make people soar without flapping. Since God created birds, He actually knows the mechanics of bird flight. The God who gave eagles the ability to soar knows that soaring means flying without flapping wings. Heidi Baker is the type of charlatan members and attenders of Bethel Redding are exposed to on a regular basis. She is a false teacher, a false prophetess, and may not be saved herself. If you attend Bethel Redding, if you are influenced by Bethel Redding and people like Heidi Baker, flee to Christ! 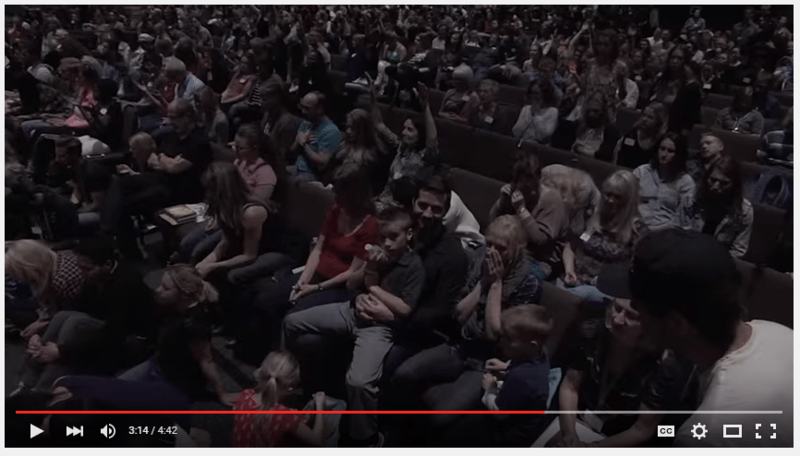 I have well-documented the unbiblical, even demonic activities of Bethel Redding. You are not safe there. You are not safe being exposed to this cult’s and its affiliates’ false teachings. If you need help finding a Bible-believing, gospel-preaching, truly Holy Spirit-indwelt church, please contact me at: info@crossencountersmin.com.